Bad news for high level competitive play. 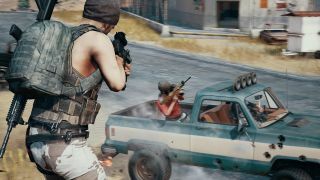 Your framerate seems to be affecting the rate of fire and recoil of weapons in PlayerUnknown's Battlegrounds. 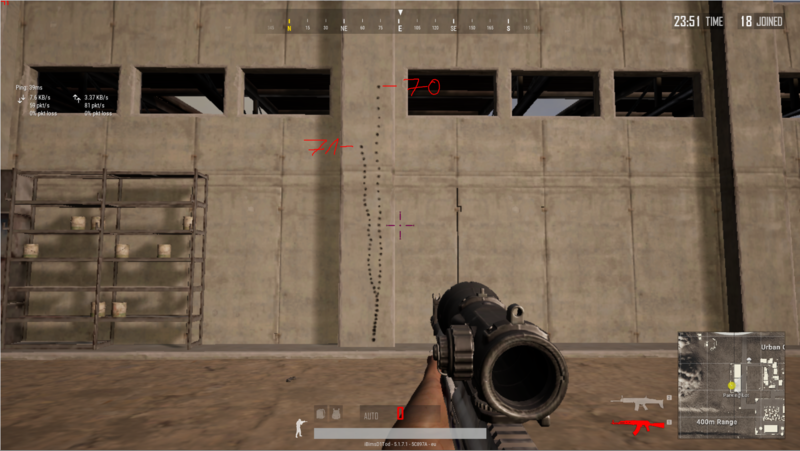 Youtuber WackyJacky101 has been blasting an innocent wall, for science, to see how guns behave differently at 180 fps, 60 fps, and 30 fps. The results convincingly show that for high rate-of-fire guns, such as the Groza, a lower framerate results in lower rate of fire and more manageable recoil. The issue seems particularly severe for the Groza, but we also see how framerate changes the firing patterns of the M416 and the Vector. Slowpokes like the AKM and SCAR-L seem unaffected but, as we'll see, there's a deeper problem. WackyJacky sketches out the recoil patterns in the video below. There has been interesting speculation as to why this is happening which has, inevitably, led to the creation of a spreadsheet. On Reddit, user MutuTutu theorises that gun performance depends on the weapon's rate of fire relative to your framerate. If your framerate is just one frame out of sync with a gun's rate of fire, the rate of fire (and therefore recoil) can be significantly affected. For a competitive advantage it might be wise to favour certain weapons, depending on your framerate. MutuTutu looks at when this might be most useful. "In situations where your FPS are fairly stable (for instance 80-85) and you take a high DPS% value that is at an FPS value just a little lower than that (80 in this case) this can net you with notable DPS increases (+8% with the AK here) AND a far more consistent recoil (80 and 85 give you notably different recoil speeds, locking it makes it always equal)." For obvious reasons, this is terrible for high level competitive play if everyone is playing at different framerates. Powerful PCs will be putting out more bullets than weaker PCs. Because the problem seems to be tied to the way the game handles firing and recoil calculations for every shot, it may be difficult to fix. There hasn't been any response to the research from Bluehole, on the blog and Twitter at least, but hopefully it's something that can be changed. Strange things happen when game logic and framerates entwine. Recently Fallout 76 has had issues with player speed being tied to framerate. Damage-per-second in Vanquish accelerated at higher framerates, and weapon durability broke in Dark Souls 2.